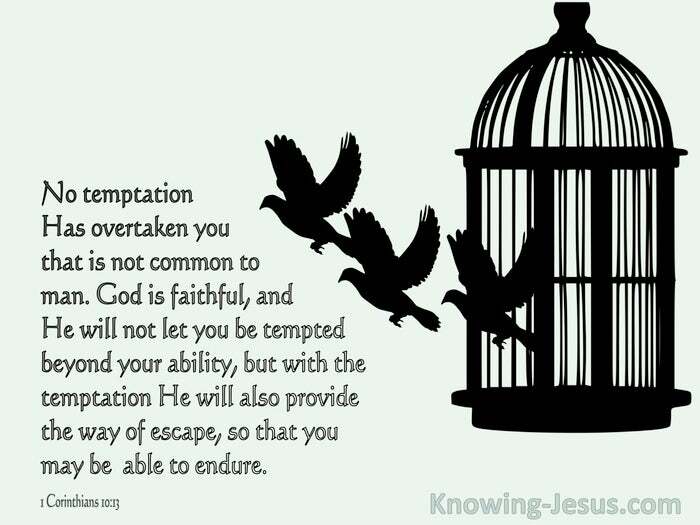 Oh Lord, I come to You to pray for all who are weighed down with some form of addition. 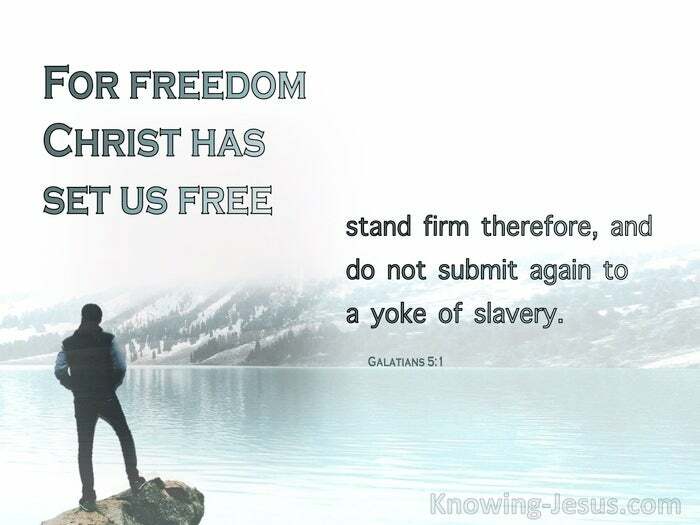 Lord, You are the One Who came to set the captives free and to release the sinners from the chains that bind them – so I lift before Your throne of grace all those that have become addicted to drugs. Lord I know some personally and others that I know nothing about – but You know everyone that is enchained by the curse of drug-addiction. Look with compassion on all that are ensnared by any form of addiction and send help and freedom to all who would accept help. Lord I pray so that they may be released from this imprisonment and returned to a life that has dignity and meaning. Give wisdom to their family members and those that care from them that they may be given the support and help to put them back on the road to recovery. Endow them with patience, understanding and perseverance, knowing that this can take time to address. 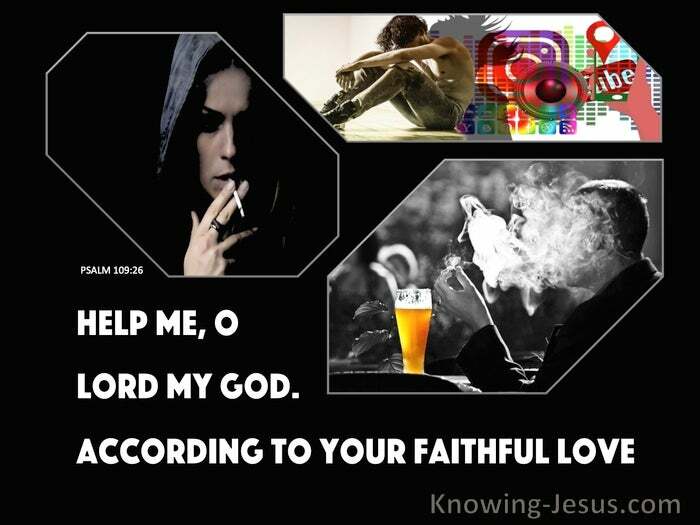 Dear Lord Jesus, our heart is breaking with grief because our precious child has gone down the route of addiction. They have left home and are now living rough in the streets and seem to have become an entirely different personality. Lord we have not seen them now for many months and we are filled with great sadness –but we are trusting You Lord to work a miracle. Look down Lord Jesus in pity on our dear child and convict them of their wrongdoing and restore a right mind within them. Protect them Lord from the dangers that surround them and bring them home Lord we pray. I Prayed For This Prayed for 415 time. 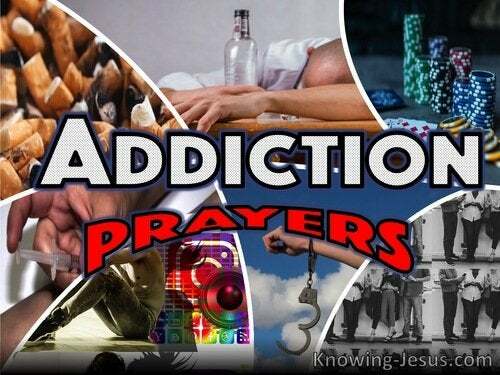 Please pray for my sons, matt and michael that they would ovecome addictiona and find God's peace and direction. thank you!! My addicted son and my daughter. I Prayed For This Prayed for 110 time. Dear lord help my children to find peace restoration in you.help them god for addiction.help me lord to find job so that I could be a better mother who provide for their kids.I'm trying my best but I think its not enough for them.help me lord. Lord, I ask that conviction be brought on my little sister. She is struggling with alcoholism. She is currently going through a custody battle for her two little boys. She needs to help herself before she can be a sober mother. Please Lord deliver our son from this addition. I read this above in Joseph's name: "You died for every drug addict and it was Your love for them that caused You to die on the cross of shame that they might be lifted up and seated with Christ in heavenly places..." Dear Lord Jesus Christ - please help Joseph through his addiction and help bring him back to his mother, brothers and daughter my granddaughter). God love Him, give him strength and guide him towards believing in you. Amen. I need freedom from shopping, lust,overeating & all of my addictions. Help me overcome these addictions.God help me.